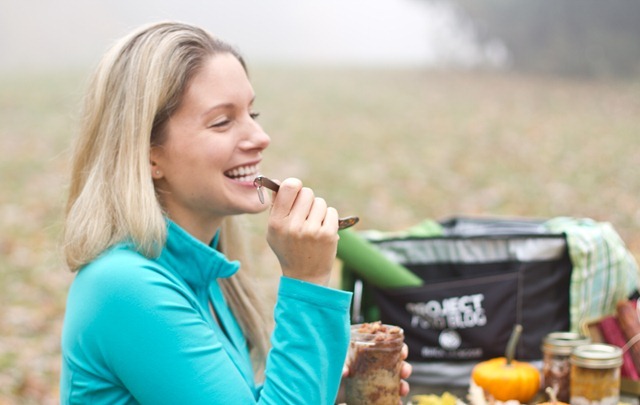 When I first heard about Project Food Blog, I was shaking in my boots. You want me to do…what exactly? I felt as small as an ant. My eyes were wide in horror. I thought about it for a while as I read over the challenge descriptions. Project Food Blog was an excellent excuse to bake (and eat) more dessert! Project Food Blog also ended up being a wonderful opportunity to push myself far out of my comfort zone and to see just what I was made of. Three months have passed, and I am absolutely thrilled to be in the final round among such talented competitors. I have been blown away by the incredible level of talent expressed by so many amazing bloggers throughout the competition and I feel so honoured to be here today! For my last post in Project Food Blog, I thought it would be fun to turn back the clock and share the lessons I have learned for each challenge. Lesson #1: Know Where You’re Going, But Never Forget Where You’ve Been. From hot pink polka dots to hot cross buns, I told you my story in a playful poem for my first entry of Project Food Blog. I had so much zest for life when I was a little girl, but somewhere along the way I lost myself to an eating disorder that haunted me for over 10 years. As a young adult, I didn’t know who I was or what I wanted out of life. I thought a fancy title or high paying career would bring me the happiness that I sought, but I was sadly mistaken. I started Oh She Glows on October 31, 2008 as a commitment to beat my disordered eating, connect with other women, and redefine my relationship with food and health. Several months later, I found the courage to quit my unfulfilling research career, vowing to find my true calling in life. Months later I opened my own bakery and I pursued my blog full time. Inspiration is all around us! My motto is to find what inspires you and then add your own signature twist to it. I don’t expect you to bake or cook like me, but I do encourage you to find what makes you glow in your own kitchen. In Challenge #2, we were asked to tackle a foreign cuisine. 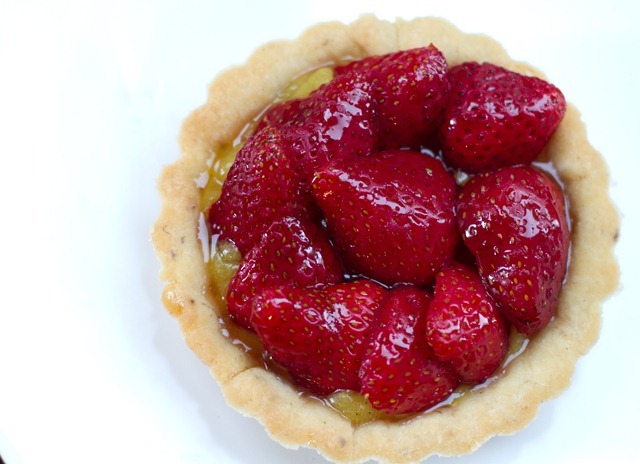 I chose to re-create a classic French Tarte Aux Fraises with a fun vegan twist. 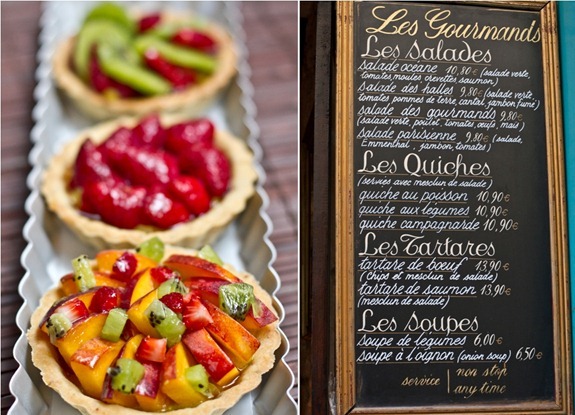 I actually ended up liking it better than the original tart I sampled in Paris. Traditions make us feel all warm and fuzzy inside, but trying new things can be fun too! In Challenge #3, we were asked to host a luxury dinner party. 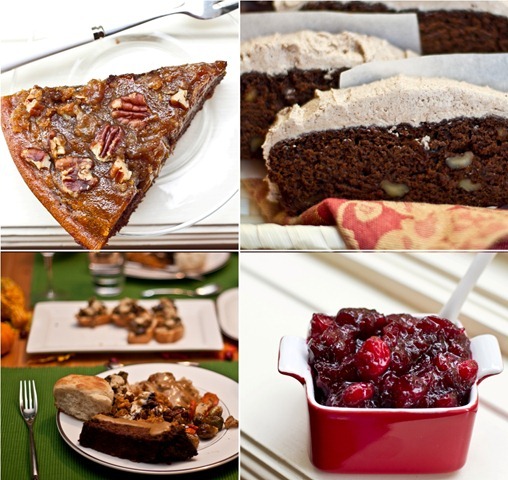 I decided to host my First Annual Vegan Thanksgiving creating 16 Thanksgiving recipes for my family and friends. 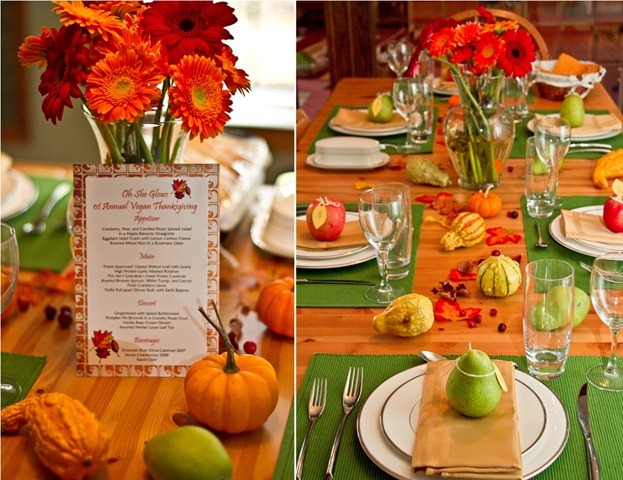 Initially, I was afraid that no one would want to attend, but some of my guests told me that it was the best Thanksgiving dinner they ever had. 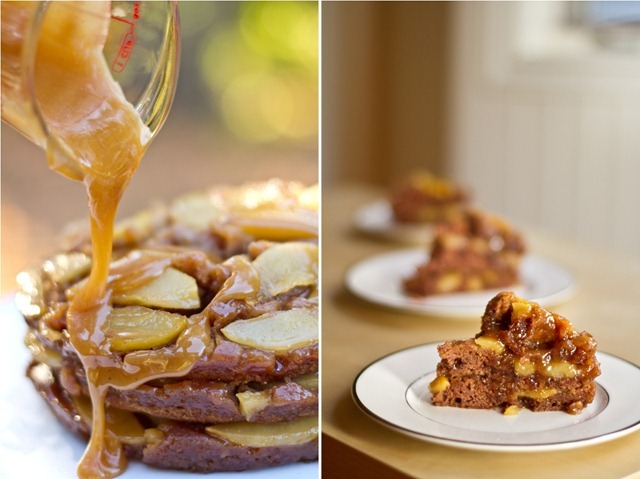 In challenge #4, we were asked to create a step-by-step recipe tutorial, and I decided to make vegan Gingerbread Caramel Pear and Spiced Apple Upside Down Cakes. After several baking flops, I was reminded that sometimes I need to figure it out as I go! The other working title for this lesson was ‘The Thought of Making Pizza Dough Gives Me A Hot Flash’. 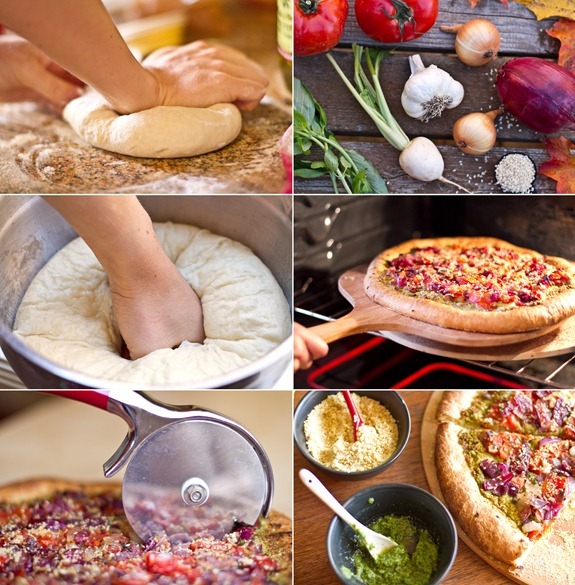 Before the Pizza Challenge, I was terrified of making my own pizza dough. I don’t know about you, but my stomach always trumps fear, so I poured myself a glass of wine and made trial after trial of pizza dough, testing all kinds of weird and wonderful recipes. Several hours later, with myself and my kitchen covered in flour, I conquered my Pizza Complex and worked out some stress in the process. The Roasted Tomato, Onion, and Basil Pesto Pizza was a smashing success! In challenge #6, we were asked to hit the road with a cooler full of portable food. 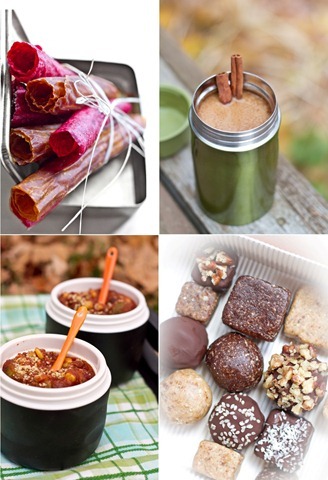 I created a ‘Going The Distance’ Vegan Energy Lunch that fuelled us through a 7 mile hike. As an added bonus, the lunch was waste-free and brimming with healthy energy foods such as homemade fruit roll-ups, Pumpkin Spice Lattes, chili, homemade rolls, energy truffles, apple chips, and cakes in a jar. I have learned to embrace my inner dork. I sleep much better at night now. Initially, the video challenge made me want to run for the hills, but once I decided to just have fun with the video everything fell into place. After 3 weeks of planning and recipe testing, 1.5 days of shooting, and 60 hours of editing video footage, it was very satisfying to watch the video when it was all said and done! My inner dork is now exposed and there is no turning back. 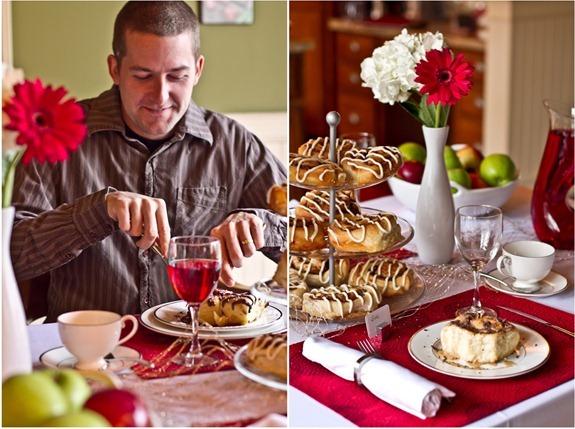 For the pumpkin challenge, I decided to create a pumpkin recipe I hadn’t seen before- Pumpkin Pie Cinnamon Rolls– and then turn it into a splurge-worthy holiday breakfast that I will be making for my family on Christmas morning. Lesson #9: Sit Back, Relax, and Let Someone Else Cook For You! Going out to eat is a rare occasion for us, but when we do it is a real treat. I was so inspired by my experience at The Coup restaurant, I bought their cookbook and adapted several recipes that I could enjoy at home whenever the craving strikes…which has been too many times to count! Despite everything I have learned from Project Food Blog, there is one lesson I have known since day one. Lesson #10: Never Forget Those Who Have Inspired, Helped, and Supported You Along The Way. In just a few years time, I have transformed the way I see myself allowing my passion and love for food to flourish after many years of denial. I have unleashed this great passion and fire inside of me and there is no turning back. 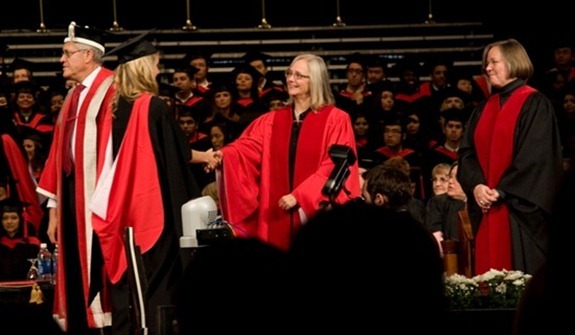 In large part, I have all of you– my family, friends, and the wonderful blogging community- to thank. I am so grateful to be a part of such a wonderful group of inspiring individuals and I hope that in return, I can inspire you to find what makes you happy. 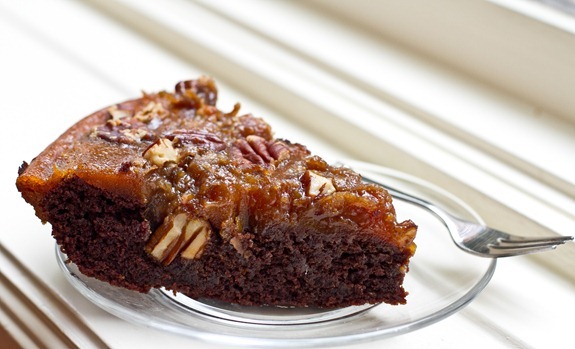 Speculated to originate in the 1950’s from a woman living in Nanaimo, British Columbia, these no-bake bars are always a staple on my family’s holiday baking list. The graham coconut base is a cross between a coconut macaroon and a graham crust, with a chewy, moist, and chocolaty flavour that is impossible to resist. A rich chocolate coating covers the creamy and thick vanilla custard buttercream, making this dessert an irresistible crowd pleaser. I baked some delicious homemade graham crackers to use in my base mixture. The graham crackers have a sweet, nutty flavour with a kick of rich molasses. They were perfect in this bar recipe. Every Christmas Eve, I used to help my mom and sister bake Nanaimo Bars, sneaking nibbles of chocolate and licks of buttercream frosting whenever my mom wasn’t looking. 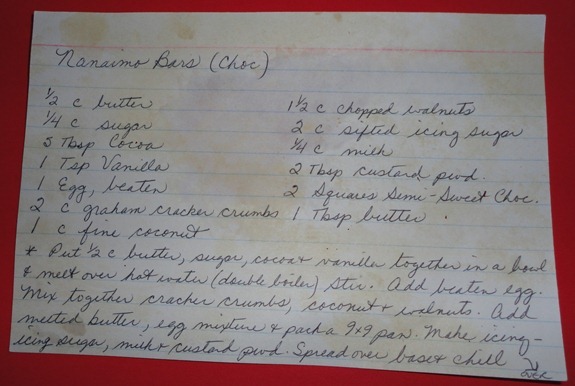 When I told my mom that I wanted to create a fun take on Nanaimo Bars for Challenge #10, she dug up her recipe that has been in the family for several decades. I used her recipe for inspiration and I added my own signature twist, creating three delicious flavours: Classic Vanilla, Mint Chip, and Pomegranate Almond Vegan Nanaimo bars. The Classic Vanilla Nanaimo Bars turned out so similar to my childhood favourite, I couldn’t even notice the difference! 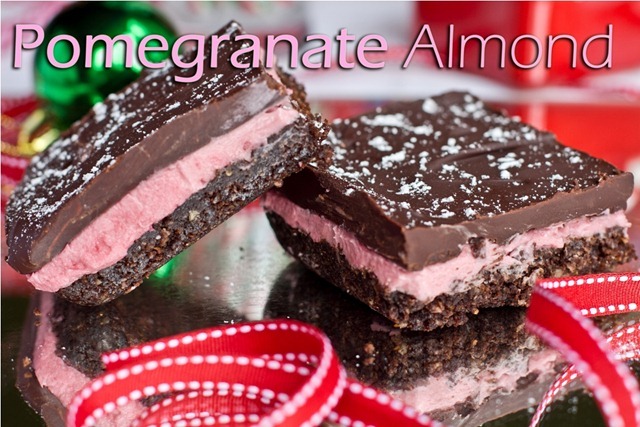 Last but not least, I made Pomegranate Almond Nanaimo Bars made up of fresh Pomegranate juice (for the gorgeous pink colour) and pure almond extract for a delicious aroma and flavour that blended together wonderfully with the chewy coconut and graham crumb base. 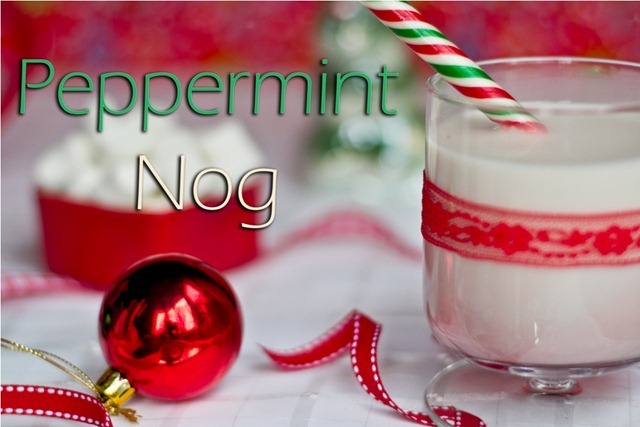 The bars taste amazing paired with this creamy Peppermint Nog made up of almond and coconut milk, peppermint extract, mint tea, and a touch of sweetener. 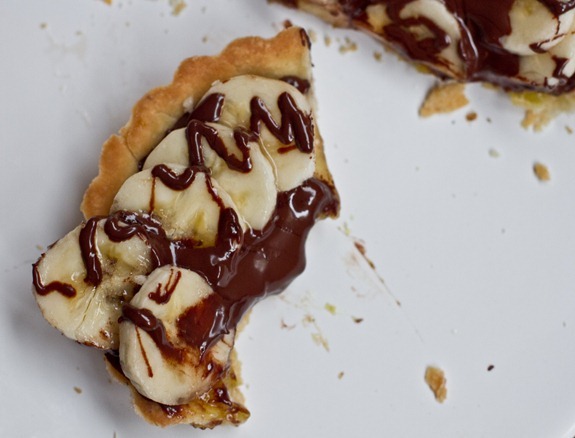 I always assumed that this childhood dessert would be something I would have to miss out on as a vegan, but I now believe that the sky is the limit when it comes to adapting recipes! While I learned so many valuable lessons in Project Food Blog, the ultimate lesson I take away from this contest is that anything is possible. Project Food Blog has changed me forever. My fire and passion for healthy food, recipe creation, photography, and writing is stronger than ever and I now feel like I can do anything if I set my mind to it. 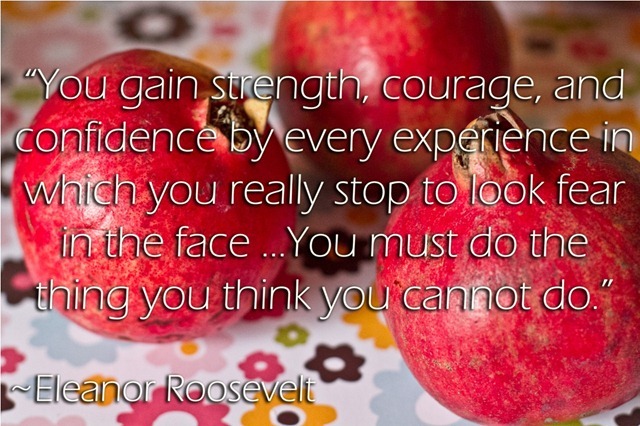 In the words of Eleanor Roosevelt, we must do the thing we think we cannot do. Some say you can now see the glow upon her face. For sometimes you must pave a new road and go create. I thank you for your amazing support during Project Food Blog and for your constant encouragement, inspiration, and positivity! I’m so excited that you made it to the final 3! I really hope you win, as I have enjoyed reading all your posts. I can’t wait to test out some of your recipes! Good luck! What a great retrospective! You definitely deserved to get into the finals, just look at all the amazing things you’ve made! I love how you went above and beyond the challenge, every single time. The sheer amount of work throughout this whole process has just FLOORED ME!!! You, and anyone else, who has made it this far has dare I say 100’s if not 1000’s of hours into this thing! From recipe development, groc shopping, preparing/making/cooking, photographing, then blogging about it all…my god woman, you deserve to be where you’re at with this project. It’s like a dissertation..takes on a life of it’s own! Just this one post..must have taken hours to create. I am amazed by your hard work! And of course, the recipes themselves, the photos, truly beautiful works of art! You are amazing and so inspiring! Love, love, love your blog. best of luck in the contest. LOVE. You’ve done a wonderful job with the PFB posts (and all the regular ones) and have been so inspirational for me. Good luck, I sincerely hope you’re #1! Angela! You are awesome! This is amazing! I will be voting for you all week! :) I hope you win!!!!!!!! 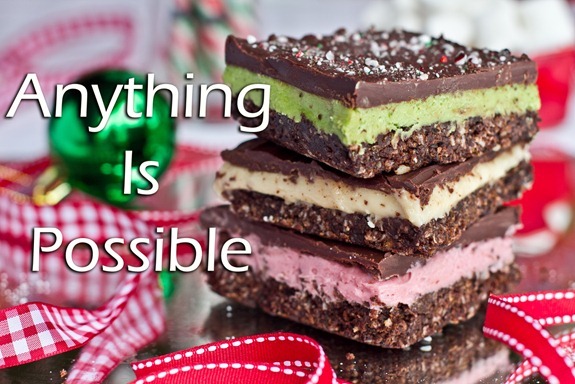 I’ll be voting for you first thing in the morning…you have done such an incredible job and I was so excited to see your veganized Nanaimo bars…I’m from Victoria and Nanaimo bars have also had a place on our family’s Christmas menu for decades. My Mom has a Nanaimo Bar recipe card identical to yours, spots and all! Your post–your journey–has been amazing to follow. Best of luck, I know I’ll be voting for you! What an amazing job you’ve done! I can’t wait to try vegan nanaimo bars! Girl, your gorgeous, your food is gorgeous and your words are gorgeous!! I can’t wait to try your nanaimo bar recipe and see the recipe for these graham crackers! you have this in the bag! You have helped me in more ways than one. Reading your blog everyday has been such a blessing. You are beautiful and inspiring… and I love how you have reached your happiness. Bravo and Cheers! You’re going to do awesome, this is such a beautiful/colorful post!! Can’t wait to vote for you! Loved this post.. can’t wait to place my vote for you — good luck Angela, you are truly and inspiration! Gosh Angela you are too good to us readers. MORE recipes and of course beautiful words of hope and inspiration. Absolutely amazing. Looks delicious. Good luck with the final project food blog test! You’ve blown me away in this competition. I’m so glad that you have grown personally from it as well! you are such a talented, beautiful person and i really hope you are able to see this through! Yayyyy, love this post! I am so proud of you. 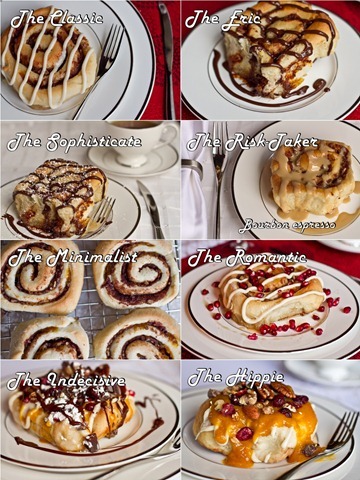 I love your creativity and the passion you obviously have about your cooking and baking! It inspires me to find what I am most passionate about. Incredible Ange! Sooooo amazed at all that you have created over the past few months…best of luck, I’m sure you’ll do incredibly well! All your posts have been wonderful! I love these lessons and those bars look amazing and so colorful. One of my favorite things is how you make different versions of the recipe – I always want to try all the versions right away. What an awesome post and even more awesome lessons! Thank you for all the time and effort you put into sharing what you learn and what you create with us…your blog was the first I ever read and I absolutely love seeing new posts of yours pop up in my Google Reader. Keep up the amazing journey with health and best of luck with the last round of voting! What an awesome challenge!!!!! I’ve been dealing with an eating disorder, and this blog has been so great to read! I have downloaded the PDF for the nanimo bars and plan to make them very, very soon! This made me cry. Really, you are so inspirational. I’ll be voting for you again for sure! No, thank you. You’re my idol! Girl, you’ve got my vote! :) I can’t imagine how hard it’s been keeping up the bakery while coming up with new recipes each week — you’re amazing. I hope you win! what a beauitful post! you are my ispiration! Im so amazed at how creative you are with your food. I’ve only just started reading your blog, but I already feel so proud of you! definatly voting for you!! What a great post Ang!! I haven’t been here the last week or two (I just had a baby girl!! (: ) but I came to check today and am so glad I did!! Those bars look FABULOUS, like everything you make. Good luck with the final challenge!!!! Wow! Thses are incredible! What an ORIGINAL idea! The amount of time, effort and creativity that you put into these challenges is nothing short of amazing! Voting for you from the start and all the way to the end! You deserve this! Cheers! Wow Ange! You’ve gone above and beyond for PFB and you definitely deserve the title and more. I only lasted to challenge #3 (haha) but even in those 3 weeks, I learned so much about myself and it challenged me to expand my cooking, baking, and writing skills. I cannot even IMAGINE going months on end with PFB. You are amazing. Congrats to you for making it to the last round. I wish you all the best!! you are amazing! i seriously was in awe with each and every post. while i love the other two finalists, i firmly believe you deserve to win. best of luck!!!! Bravo, Ms. Oh She Glows. You are lovely inside and out. Also – spinach food colouring – brilliant! Love the colour it imparted. Nothing short of amazing. You have worked so hard and as a reader I enjoy everything you have put into it. You have definitely gone out with a bang also. I will be voting for sure, just remind us. :) Best of luck I hope you win and I will enjoy seeing more of your recipes in the future. Amazing post! Good luck, Angela!!! Awesome post lady!! You have taken this contest by storm! Your posts have been so beautiful and thoughtful. Youve been a fave all along! And even before the contest. I will be voting…and probably making those at some point this holiday season. Yummy! You were by far my favorite in this competition..your posts and dishes are so well thought out. PS my family stores Nanaimo Bars in the freezer… they taste better that way! Looking forward to the homemade graham crackers recipe! Graham crackers aren’t available here and I’d been wanting to make nanaimo bars since coming back from Canada. Some of my globars even made it back to NZ- well travelled little snacks! I was literally just thinking about vegan nanaimo bars the other day. I’m so happy you created these. You have put so much work into this contest and every post has been a work of art. You truly deserve to win! This is incredible. Ever since discovering your blog, it’s been one of my very favorites. You’ve provided me with so much inspiration, and encouraged me to let go of so many fears of foods I still had. Every single post in this competition has been truly amazing, and you definitely have my vote!! You have done such a wonderful job in this competition! Both you & your food are inspirational! Angela, this post brought tears to my eyes and warmed my heart. Tomorrow, for the tenth time, you will be getting my one and only vote. Congratulations! Amazing I have no dout your going to take home the WIN!!! Beautiful post! If I am completely honest I have always thought of you as above me, you are always so perfect, it is, in a way, comforting to know we all struggle with the same things sometimes. Blogging really can be an amazing thing, can’t it? In my three months of blogging I have really learned some things about myself and have worked to push myself out of my comfort zone more than I ever have before. Lovely post Angela! You’ve got my vote! Awesome post! Congrats on making it to the end!! Loved seeing all of your creations!! Got my vote! You were born for this :) I enjoy reading every day! Thanks for your passions and efforts that you share. Angela – my most favorite desert bar – Nanaimo Bars. I just LOVE these. Can’t wait to try all the flavours – they look wonderful. Also, can’t wait to vote for you tomorrow, again…. Wow, I’m hungry after this post! Your pictures constantly awe and amaze me — seeing them all together like this makes me so happy. Your posts just get better and better! Thank you for continuing to share great recipes, your warmth and your bright, positive attitude! 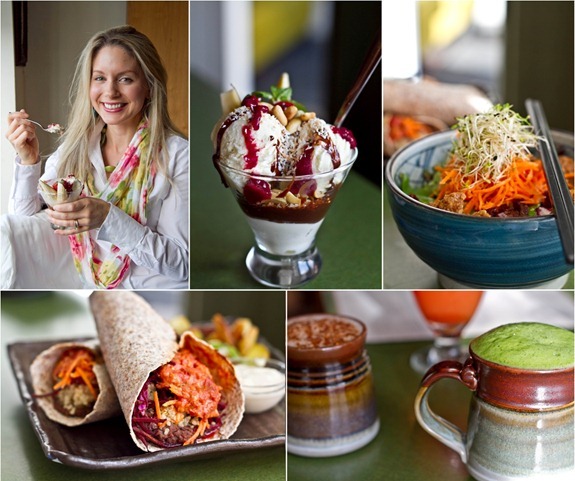 Your blog always makes me smile :-) Good luck with the Project Food Blog- you know you have my vote! You are an inspiration Angela & your efforts have been nothing short of amazing! You continue to help me feel encouraged & work hard to see food, exercise and my body in a new, much more positive light.. thank you! Loved your post! I will be voting! I have loved all your work! Ange, this post is an absolute winner! It is the best post yet- and I have thought that every single PFB post you’ve done is brilliant. This one exceeds even the brilliance of the others! It’s perfect! I love it!! you are amazing, an inspiration, and a truly lovely woman…this post brought tears to my eyes because even though i didn’t make it past level 4 in the challenge there was an insane amount of stuff that i learned about myself! I’ve already made the Club Med Salad and I’m obsessed with the coconut chai latte from The Coup cookbook. Keep those recipes coming (if it’s okay with the owners, that is)! Trust me, next time my husband and I go to Banff (we went there for our honeymoon) we’ll be stopping at The Coup on the way. Glad you liked the Coup recipes..I cant wait to cook my way through the book! The smore in a jar recipe is lost…lol. I did two trials of it last week and still have not been able to replicate it. Will keep plugging away at it though! Beautiful post! 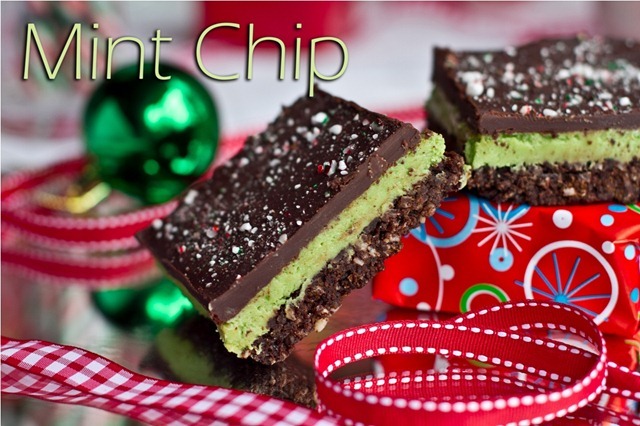 You are doing great things in this world ….and even greater by veganizing the mint nanaimo bar – those are my favourite! I feel like this contest is more exciting than the Olympics – go Canada go!! Best of luck, you’ve got my vote (obviously!). no doubt i’ll be voting too. angela, you’ve shown me so much about how one can be healthy while still being kind to yourself. im talking mostly about mental health, the relationship with food. i know that my young-girl self had a zest for life too and somewhere along the way she got lost and the anxious adult version started to overrule. i love that quote by eleanor roosevelt. This is one of the most inspiring posts I’ve ever seen on a food blog. GOOD LUCK to you – you’re incredible! You are MOST CERTAINLY getting my vote. You blog is one of the best!!! Good luck!!! Love it! Love it! Love it! No doubt that I will be voting for you tomorrow. :-) Those bars look unbelievable! What a wonderful wrap up post. You absolutely have my vote. Good luck! Beautiful post. I hope to one day be at peace with myself the way you are. You’ll absolutely be getting my vote! I love this post! It kind of brought tears to my eyes because I am at a point in life where I just graduated college in a field that was chosen for me and I thought it would bring me happiness in the end because of the name and the monetary benefits but I couldn’t be any unhappier and when you said “find what makes you glow in your own kitchen” it really hit home for me. Thank you!! P.S. Do you have a recipe for vegetarian/vegan chili? I’ve been looking everywhere for one and I cannot seem to find one. Thank you…I wish you all the best with your current situation. I know you will pull through! Thank you for the words of encouragement and thank you for the link!! I have no doubt that it will be amazing, I can’t wait to try it! This is post pretty much sums up why I love your blog and read it everyday! I was smiling the whole way throught this post :) You deserve to win this so much! Can’t wait to vote for you on monday! You should feel SO proud looking at your PFB journey from start –> finish. Incredible work, Angela!!! what you have accomplished over the past few months! A winner in my books. You are such an inspiration, Angela!! You have so much patience, values, and most of all – talent!! Those bars look amazing. You’re so creative. Its such a wonderful post. I love your blog, it’s so inspiring and I never fail to read it. Congratulations on getting so far in project foodblog and i will definitely be voting for you. Good Luck! What have I been doing every Monday (when applicable) for Project Food Blog? Voting for Angela of course! So, guess what I will be doing tomorrow? ;) Thanks for the yummy bar recipe…and the pdf file! I now know what I am going to make for my family’s annual cookie this weekend!! Thanks you too for such a lovely, warming, heartfelt post. So happy for you!!! Angela, I <3 you! This post almost made me cry! I will of COURSE be voting tomorrow!! I swear you read my mind.. I was just talking about Nanaimo bars — I haven’t made them since I’ve become a vegan but I neeeeed them at Christmas time. I read your blog everyday and have really enjoyed your entries for Project Food Blog. You give so much to so many. I will be voting first thing tomorrow morning. Wow, great post Angela, love it! Nice retrospect of your journey through the project! I really enjoy reading your blog, one of my faves! Beautiful story, amazing journey. You have my vote of course!! I think that’s what I like best of all!!! What a lovely and inspiring article. It sounds like you had a lot of fun and learned about yourself through this challenge. Those pumpkin cinnamon buns are just way too delicious looking, and I agree that sometimes icing is necessary first thing in the morning. On another happy note, wonderful wonderful post!! I am excited to vote for you tomorrow!! Wow Ange – you’ve got my vote!! Beautiful post! You deserve to win Angela! You have made it seem easy and seemless. I REALLY hope you win. Fantastic post, great way to end this challenge. Those bars are beautiful! I especially love that you used spinach juice to color the peppermint one. Genius! I have been amazed at all the work that you put into these posts. They are definitely some of the best posts you’ve ever done and were a treat to read and try the recipes from. I especially love your gorgeous photography and the things you utilize as props. I really hope you win!!!! Wow! This post sucked me right in and there was no turning back. :) You have such a beautiful way with words, and you’ve got my vote! Can’t wait to see you as Project Food Blog’s winner! This post made me tear up a little. 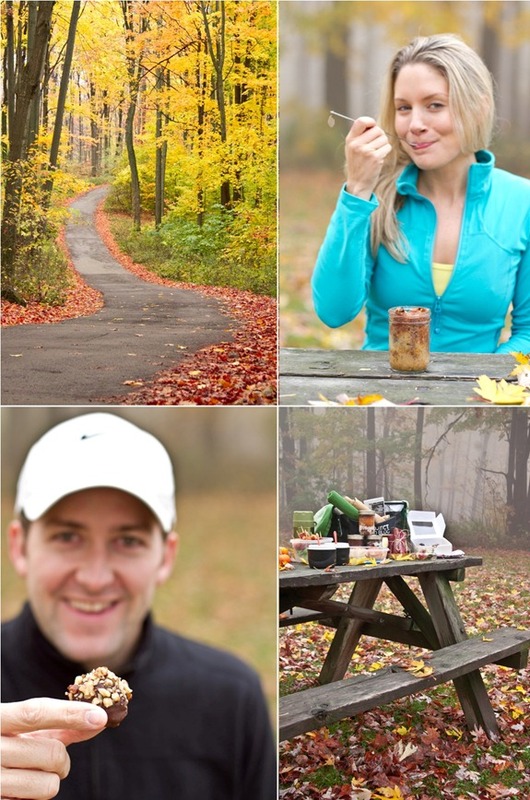 Your story is so inspiring, and congratulations on your success with Project Food Blog! I love you,your blog,& all that you do. All I can say is WOW! What an insightful, honest, and insipring post. Not to mention YUMMY!! Here’s wishing u nothing but the best! I will be voting for you first thing Monday morning! I can’t think of anyone who deserves winning this competition more than you. What a great post you are such an inspiration! Good luck you have my vote! thanks Ash! No light box or umbrella yet…but hopefully some day haha. just a table by the window for now. I will definitely be voting again! This is such a great post too. I have you to thank for getting me in the kitchen and trying some of your recipes, and for someone who hates cooking with a passion usually, that’s a big deal! Congratulations on making it to the final! Very well deserved :D Congratulations, too, on such a heartfelt and memorable blog entry. I love all of your posts, but this one really packs a punch (in a good way!). You’ve made some incredible changes in your life and inspired so many others – myself included. WOW beautiful beautiful post!! you are such an inspiration. loved all the lessons and how you tied your entire project food blog experience together….you have worked so so hard, above and beyond expectations…your passion is so evident. i loved the ending -anything is possible!! fantastic way to end it. you have had my vote the entire time. 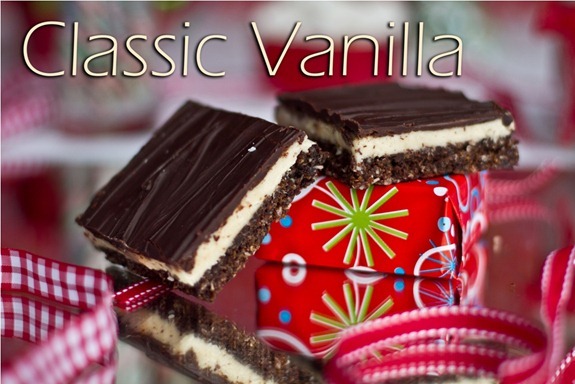 i am so pumped to make your nanaimo bars! big fan. Amazing post – all of them have been and I will be voting 1st thing!!! Angela, just one thing. 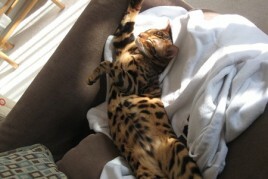 You made me sign up on FoodBuzz so that I can vote for you. I wish I can split myself into hundreds so I can vote for you tons and tons. I really wish you all the best and can’t wait till the voting begin. Love love love your creations. unbelievable! way to go angela!! What a beautiful post. Both the lessons you shared and the photos are really beautiful! I really appreciate your positive attitude and find it inspiring. I also have enjoyed making several of your recipes, although I am not vegan. I like to come back and see what else you’ve come up with. Good luck with the challenge! You are truly amazing and such an inspiration! You are truly an inspiration to so many. You have been my favourite from day 1. Your blog is the only blog I follow everyday religiously :o) You are a true inspiration and you deserve to win 100%!!! Wow!! AMAZING. Can’t wait to cast my vote for Oh She Glows. You are so gonna win! I cannot even begin to tell you how much you’ve helped me (without even knowing it) over the last few months, since I found your blog. I could write paragraph after paragraph here now about how you’ve encouraged me to eat, to experiment with vegan food and baking, to try running or dancing to get my metabolism kicking – to not give up, even when I’ve felt like recovery is impossible. So many people write food blogs, and lots of them are great, but OSG isn’t just your run-of-the-mill ‘anecdote/photo/recipe’ blog – it matters, somehow, and it gives me hope. So, I won’t go on and on here. But I will tell you that you can most definitely count on my vote. ahh that made me tear up. thank you, your words are very beautiful. Angela, you are so inspiring – thank you for being YOU! you are amazing. good luck! There’s not much that I can say about how amazing you are, Angela! I have absolutely loved this contest and always, ALWAYS looked forward to what you had in store! You’re such an inspiring woman and constantly stir up my inner baking diva! My boyfriend has no idea how much he has to thank you for the extra 5lbs he’s gained over the last year! And, I LOOOOOOVE nanaimo bars!?!?! I mean really, how can you not?! Good luck, Angela, not that you need it! Your talent will bring you through to the end! You deserve to win it all! And good luck with Project Food Blog; I’ll be voting for you! This is probably going to sound so silly, but I’ve been waiting for voting to open so I can do it this morning before I head off to class, and someone at Food Buzz must’ve set their clock to go backwards or something. The time until voting opens is going up from 9AM! So excited for you and thrilled you made it this far. Thanks for your wonderful stories and recipes. You are a winner no matter what! Angela, thank you for all you do! truly an inspiration! You got my vote for sure! Good luck, Angela! I’ve been voting for you all along, and I truly think this entry is your best one yet! You totally deserve all your Readers’ Choice wins and, of course, to be the winner of the grand finale! If reader’s votes don’t count in the final round – does that mean that voting in this round doesn’t count because it’s just decided by the judges? I voted anyway, but I’m a bit confused as to how they’re deciding a winner. I hope its you. I love your posts. This post almost made me cry. Off to vote! Amazing final post! It’s in the bag. I cried throughout the entire post. No joke. I don’t know how to put into words why I cried, or how I felt when reading it. Hearing, or rather seeing, you write this out, I guess I could feel your passion and happiness for everything, and I got to feel and see how much work you put into everything. You are so amazing. I can only aspire to have a quarter of the passion and work ethic you do. aww i just teared up reading this…gosh im such a sap. glad im not the only one. hehe. im so glad you enjoyed it. I wrote from the heart. Such an amazing post. You deserve to win!! Stunning post. I mean that. You are an inspiration in so many ways to so many people. I desperately wanted a wedding cake made entirely of Nanimo Bars. My Mom vetoed the idea, and to this day it’s the only thing I would change about my wedding -why did I ever let her talk me out of that one? What a beautiful post! I love how open & honest you are with your readers. Have a wonderful day Ang! Angela, what an incredible post! 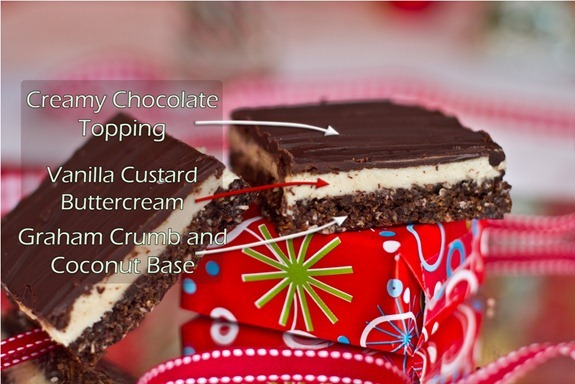 These Nanaimo bars look fabulous – I’ve voted for you and hope that you are the big winner! Good luck, girl! Angela, so happy you’re in the top 3! I love the quote you ended the post with. 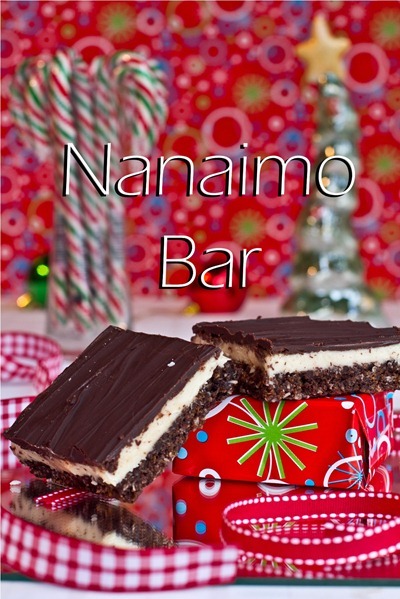 I’m totally making your Nanaimo’s for Christmas! Just voted too. I absolutely loved the look back and your recipes and pictures are amazing. While I don’t make a lot of them (trying to determine how to make everything gluten-free is certainly a pain!) I love the ideas you have and the inspiration it gives me to explore new things in the kitchen. wow Angela. these look gorgeous. good luck! I don’t know that I could be as committed to veganism as I’ve been able to be if I hadn’t stumbled upon your blog (I don’t know that I’d ever think of being a vegan if it weren’t for you and your blog for that matter!). you are truly an inspiration! you deserve to win this!! You’ve got it in the bag girl! You’ll be the winner!! 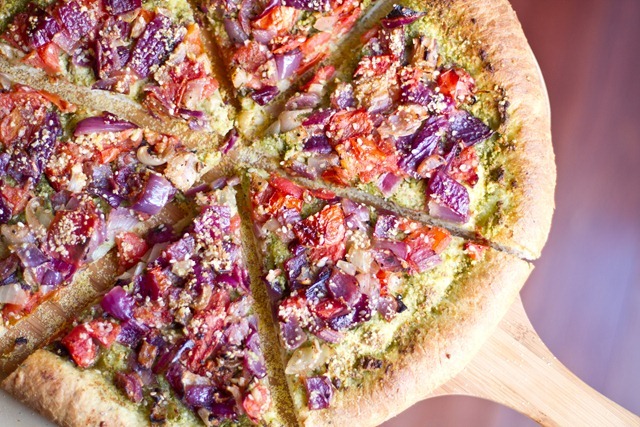 You deserve to be the new Food Blog Winner. You show so much enthusiasm and inspiration to all of us. No pretensions, and full of inspiration, love and joy! I am looking forward for more of your posts! I am congratulating you in advance! Cheers! What an amazing post Angela you continue to inspire me… thank you! I found your blog after you had completed most of the challenge but it has been So Much Fun following your posts and back tracking your past entries. Seriously, this is one of my most favorite blogs of all time. You are Amazing and I look forward to what is coming next on Oh She Glows! I think you deserve to win Angela, you put so much effort into your posts and it really shows. I have been voting for you all the way! I used my featured publisher vote for you!! I was sure that I wanted to make biscotti for my Christmas cookie this year…until I saw these bars. YUMM! A big hearty congratulations!! Wonderful lessons and it’s been such a pleasure learning about you through this contest. I look forward to learning more! Wow! Great final post! GL!!! You got me again..Nanaimo bars are my FAVE!! All the best and thanks, as usual, for sharing the recipes with us!! Do you mind sharing the exact proportions for that peppermint nog please? Looks amazing! Hi Angela! I am loving all of your entries for PFB. :) I just voted! awesome last post! i totally love bakers!! just voted for you^^ good luck! You simply ROCK!!! I am most impressed and inspired by your authenticity!!! Truly amazing work and I look forward to following you in the future! I certainly put in a vote for you!!! I’m in complete awe of everything you’ve done for this project. You’ve got my last, and final vote…hands down. Each round, I get so excited to vote for you! I just voted one last time and will wait excitedly to hear that you won :) I look to your blog for inspiration, recipes, thoughtful posts, and beauty. You have it all. Thanks for opening your kitchen up for us each day. 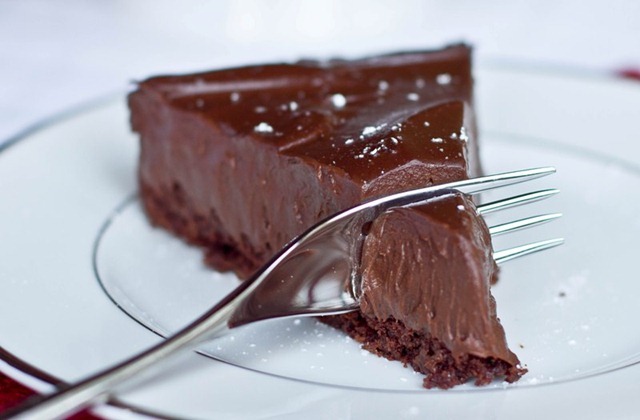 This is my favorite post so far :) and i’m definitely making that chocolate torte for my birthday this year. i voted for this entry! You Rock! I absolutely love your post and learned so much about you. Very well done. You got my vote! You are such an inspiration Angela. Thanks for sharing so much of yourself with us!!! Done!!! Good luck!!!! I have really enjoyed the ride!!!! Congrats for getting this far! Merry Christmas to you! You are an inspiration. Thank you for your enthusiasm and wonderful recipes! I am making ALL 3 varieties to take as for Christmas to my family in Moldova!!!! (Eastern Europe) do you know how long they last, and if they will endure the 16 hour flight??? because you mentioned to serve the chilled! Please let me know!!! I don’t think they would last on a flight because they get very soft at room temperature and the filling starts to move around. Wow! I’m for sure making these for Christmas. Thank you for all your good recipe and « merde » for the last turn! I’ll be making your mint nanaimo bar for Christmas this year! And I can’t wait for the peppermint nog recipe! Thanks for sharing your journey with us Angela. This is amazing Ange! You’re in the home stretch now…fingers crossed!! You got this in the bag! All of your posts have been incredible! Congrats! Not sure how I could NOT vote for you after this post. Fellow Canadian. Fellow lover of cooking and baking. And um, Nanaimo bars? Ohh, you hit my heart with this one. :) Nanaimo bars were the FIRST thing I baked successfully, ever. I’m SO happy to see them veganized! Additionally… This post was just beautifully written. Just fantastic. Love, love, loved all of your entries. ALL the best, truly! aren’t nanaimo bars the best??? I still think they are my fav dessert to this day! I can’t even begin to explain how every one of your posts impresses me, drives me closer to veganism, and fuels my own passions. You deserve to win this competition, but by the looks of it- you’ve already won so much and won OVER so many who look up to you. it was an honor to vote for you! you’re incredible. good luck!!! I’m so happy for you, this last post was the best!! Good Luck, my fingers are crossed for you, and I think I already said this, but you really do deserve the win. There’s no other food blogger who puts everything together quite the way you do. Your passion for the food shines through in every post. You really do have the most descriptive instructions, they are so easy to follow! Also, your photos are so gorgeous that it makes me want to make every single recipe you post about! Congratulations, Angela, on an amazing journey through PFB! You deserve to win hands down – you obviously inspire so many people not only to eat healthy, but also to be the very best that they can be. I hope that someday I find what I’m passionate about like you have. I’ve only met you a couple times, but I’m still so proud of you, and I’ll be crossing my fingers that you win this. You have my vote! Angela… Wow! This post is awesome. You could be styling food for a magazine. Your recipes never fail to inspire me, I love how dedicated you are to eating for health (which is so rare in the baking blog world), and I think it’s great that you respond to so many of your readers. Let your inner dork shine! You just got my vote! thanks for your kind words…I love hearing from closet commenters, heh :) Goodluck with your grad finals…gosh I know what that is like and it is tough, but just keep thinking of the holiday break! :) Thanks for your vote! I voted for you. I am going to try and make that pizza. It looks yummy. You so deserve my VOTE! You will be the winner, I can bet on this! I’m super confident ! Congratulations on getting to this point! You have done such a great job and definitely deserve to be in the finals. Your photos are gorgeous, and your food is as well! You’ve got my vote! You have really done an outstanding job with this project and when I just went over to cast my vote for you, I was astonished at how many Viewer’s Choice awards you got! Congratulations!!! I think you’ve got it in the bag, but even if you don’t win, you sure do have a lot to be proud of. 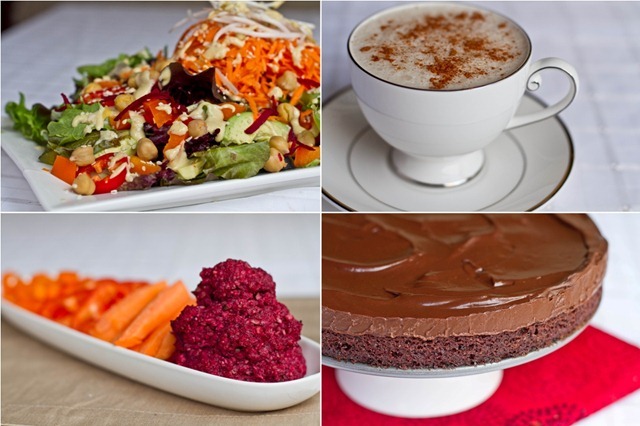 Your entries have been colorful, well thought out, organized, and mouth watering! Just terrific work, Angela. You seem to put 100% into everything you do and I hope it will pay off for you in a big way in this competition. Angela, you have done a fantastic job in every round of this competition. Your writing is thoughtful and endearing, and you tell a great story. 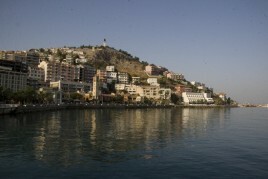 Of course,the photos are beautiful as well! Congratulations for winning Reader’s Choice almost every round and making it this far! thank you so much for your kind words…I am happy to have ‘met’ you through this wonderful competition. As I said on your post I think you are a beautiful writer, blogger, and photographer. Goodluck to you! I really loved your reflections in your final post. Thanks for sharing the lessons you learned. They were certainly thought-provoking. Your post is, as always, beautiful. All the best in this last round! You are amazing Angela! I love this wrap up post- you’ve put so much hard work into this project, you deserve to win for sure! I showed my mom the nanaimo bars and she said “how does this woman make her baked goods look so perfect? !” haha. We’ve made many of your wonderful creations, I’m sure I’ll be making these as well. Congratulations for making it to the final 3! Your blog is amazig and ispireing to me everyday. Good luck in the next challanges :-) Ill definately be voting! You have done a beautiful and fun job! I hope you WIN! i cannot even begin to imagine all of the time and effort you poured into this competition. it’s so obvious that your heart is in every beautiful post, recipe and picture. you have my vote and i’m rooting for you! Visited your blog for the first time. And used my featured publisher vote on you! congratulations, I hope you win. I’m off to explore your blog! Wow! I have to say that your words are inspirational, as well as your recipes and photos. 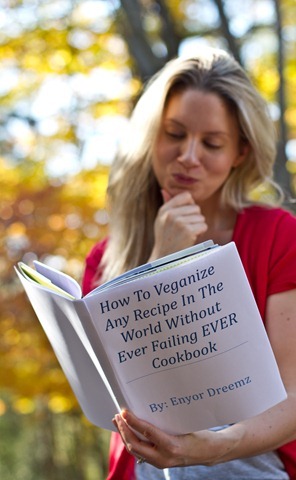 (I have to show my daughter your Vegan Cookbook, she’ll love the humour!) I have no doubt that your journey will take you to Food Blogger of the Year. I will enjoy reading about it! Thanks for your gifts. Oh Angie , having been waiting to cast this vote for U!!! Congratulations on a fantastic final post! You really do deserve to win this!! I have voted for you all the way and believe you are going to make it to the end. You are open, inspirational and I think most importantly, so relatable to the everyday girl! All us girls are fabulous in our own special, unique way, but you know what I mean ;-) I feel like you could be the neighbour next door or an old friend and I think alot of your readers feel the same. You should be so proud…not only with how amazing you’ve done in this competition, but your have come A LONG WAY!! I will be sending you tons of positive vibes b/c I know you are going to win this! Oh, and I can’t wait to try the nanaimo bars….one of all time favourite desserts!!! Good Luck Girl! Angela, you get my vote. I voted in almost every round and saw my favorites drop one by one. I hadn’t voted in the last 2, but was happy to see you in the final round. I read through all the entries. I wanted to be fair. Your blog is one I’ve been reading for a long while, and the others- I was not familiar with. But still, yours is the best. Good luck! What a wonderous thing you’ve done!!! Your photos are spectacular and the food you make is amazing! I cast my vote for YOU!!! What a wonderful final entry. I’m new to the food blogging world and happened upon yours through a post on Sparkpeople. It has been wonderful discovering all your fabulous recipes and your adventures along the way. 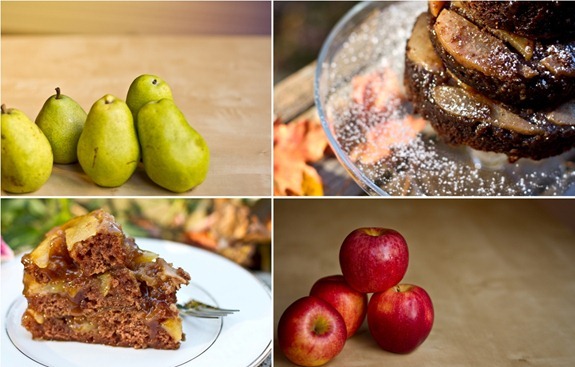 Your recipes are very user friendly and your photographs look as if they are right out of a magazine. I had no problem voting for you all along even though your competition was fierce. Your so genuine and sincere–and your food is fabulous! I have tried several recipes and enjoyed them all with no changes. Be sure and thank your husband for sacrificing his time with you to give so much to the cooking masses. I wish you the best in the challenge and hope we can enjoy your blog for a long time to come–you add a lot to my day! As a mother of two athletic daughters ( 21 and 14), you are an inspiration to healthy living. I found you by accident and I have been reading non-stop. 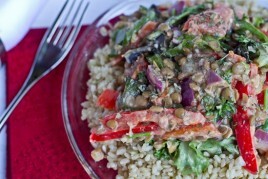 I will be utilizing many of your wonderful recipes to provide some healthy nutition for my family. I will be sending some heathful care packages to my college athlete and her friends. Thank you and good luck! You deserve to win! Great final post and i have had a great time following you during this challenge. You got my vote! Great job once again. My favorite is your comment about finding how you “glow” in the kitchen. Very inspirational. Everyone does glow differently and we should celebrate all those talents! The amount of effort and heart that you’ve put into each of these posts is incredible. I’m not generally one to fawn in comments, but you really are an inspiring example of someone who leaves each day with intention and passion. Good luck in this last round! Congratulations Angela!! I was one of your first readers way back when you started – i think i started reading your blog like a week after your first post! It’s so amazing to see how far you have come – how much you have done with it! – and being able to meet you in person this summer. You have done an amazing job!! thank you, you are such a sweet person and it was lovely to meet you. hopefully not the last time! Angela, you are such an inspiration! I don’t comment a lot, but I read your blog religiously. I even refer to you as my blog BFF. I love your creativity and positive outlook. Keep up the amazing work!!! Beautiful post! Everything looks delicious and I love the way you’ve summarized. Congrats for working on overcoming your eating disorder. I have an eating disorder that I’m only now starting to work through and this post gives me hope for my journey to recovery. You have my vote and I wish you all the best. Merry Christmas! I am a frequent follower of your blog!!! i love your blog it is so inspiring!!! Your final post is the best no competition!!!!! Of course, I voted for you. Your efforts have been phenomenal! I’m so grateful for your spirit, blog, and wonderful vegan recipes. Best of luck in the competition; no one deserves it more! Thanks for all the work you’ve done while your readers get to reap the delicious benefits. :) FANTASTIC staging/photography, too. You had me at “inner dork” – anyone that can refer to themselves in that manner and yet produce some of the most beautiful dishes and photos – has my vote, again! You’re amazing, Angela. I really hope and truly feel that you will win!! Wonder job over the challenge! How can you keep up with all these comments?! i love the interaction I guess! Wow Angela! Absolutely Amazing as always! I love how your blogs always get me even MORE excited for the holidays! These look delicious!!! I really hope I can make my family drool over these this Christmas because this is there favorite dessert! I just wanted to let you know that I came across your blog not too long ago and love looking at your posts for occasionally needed inspiration. Your food-ography is constantly getting better and better too, so kudos and thanks! I don’t comment often but I just adore this post. I voted for you & know it’s about half hour away from the big announcement. Please, Angela, keep doing what you are doing. 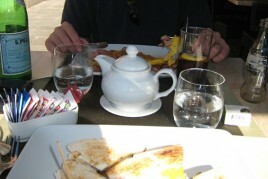 Great blog, great food & it’s all worth while knowing that you are someone I’d easily call friend. Good luck & thanks for sharing your world!! Made these for Xmas – big hit!! I used real butter though and I think I could have used about half the butter I did, because I had pooled frozen butter on the bottom. 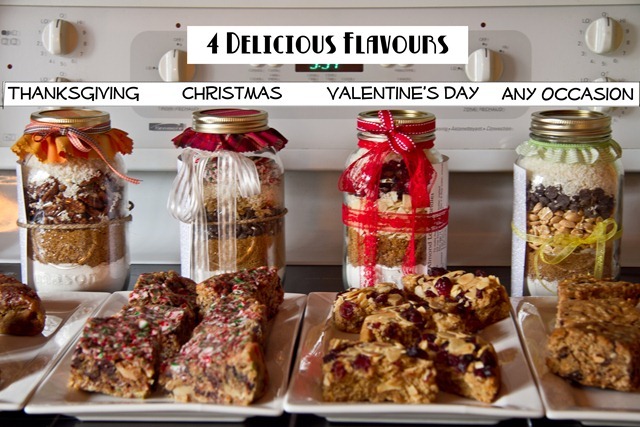 Also made your blondies in a jar as gifts, very appreciated by people. I made the cinnamon sweet potato chickpea onion salad for xmas dinner and the vegan chocolate chip cookie sandwiches (way ADDICTING). Thanks for all the wondrous recipes – can’t wait to make more!